My mission: To discover the Best Vegan Breakfast in inner-city Melbourne. 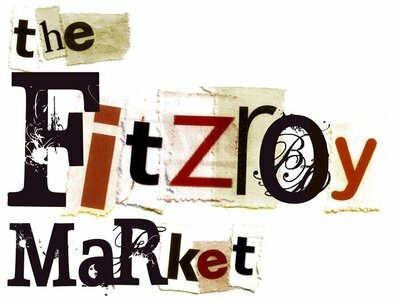 I first heard of Fitzroy Market when a flatmate asked me if I would like to join her in a stall she was holding to get rid of some of her things prior to a trip overseas. 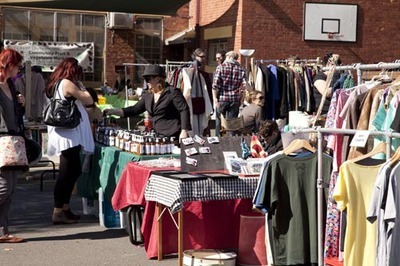 I agreed and together we packed up a few bags of clothes and coat hangers, caught a taxi and arrived at the Fitzroy primary school grounds to spruik our wares. Taking turns to stroll around the market, we drank coffee in the summer sun and came home with new old-clothes to replace the ones we had just sold. Some months later, I rediscovered the market when my friend and I stumbled upon a poster in the street while stalking garage sales on a Saturday morning. We left happy, with bags dangling off our arms and promises to return the next month. 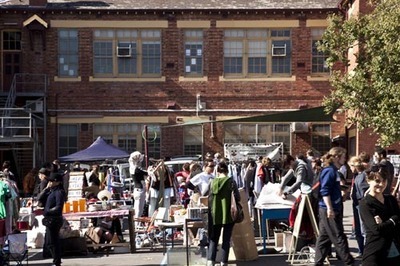 Launched in February 2010, The Fitzroy Market was created as a space for community interaction and engagement and and on the third Saturday of the month locals arrive at Fitzroy Primary to peruse the jumble of stalls selling everything from pre-loved clothing and books, to homemade jams, homewares and crafts. For Stall bookings and queries click here. Why? For shopping and an enjoyable morning.